This is a ewe lamb’s first sheer. 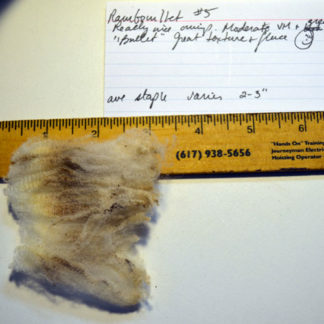 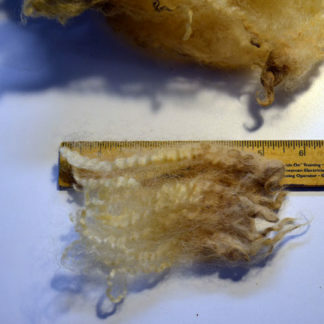 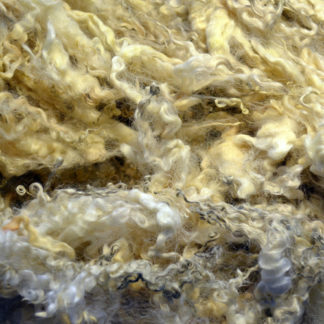 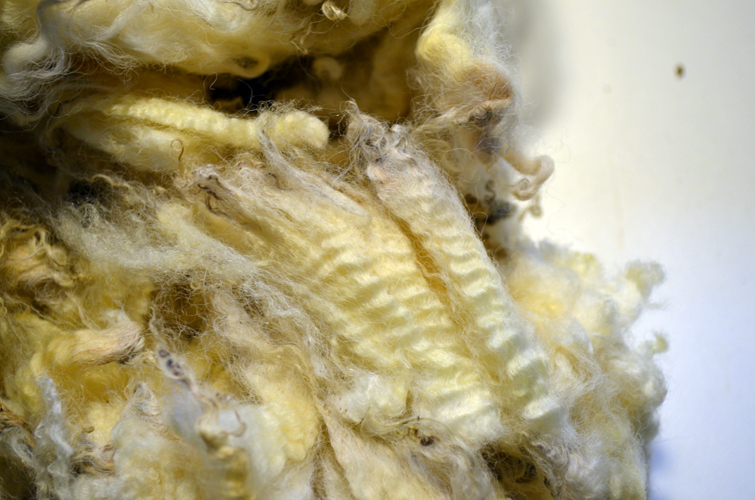 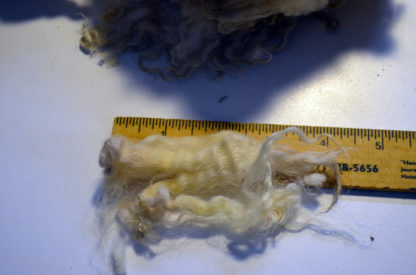 Some of the tips have a slight pink tint to them due to a selenium deficiency that colored the grease – it had no effect on the wool and washes out with a good scour. 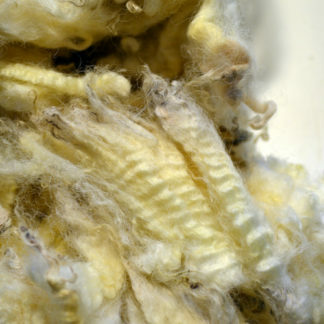 The wool is a lovely warm white, with lovely crimp and a solid staple length. Quite soft.